Florets There are 16 products. Foil shell with carbon steel sheet and rustic finish. 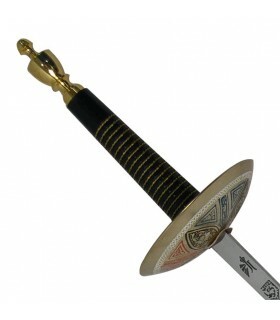 The foil is a long, flexible blade. Available in various sizes. Cadete.- 80 cms.Natura.- 102 cms. Frances Foil, Tempered steel, polished, flat sheet of old fencing. The foil is a long, flexible blade. Available in various sizes. 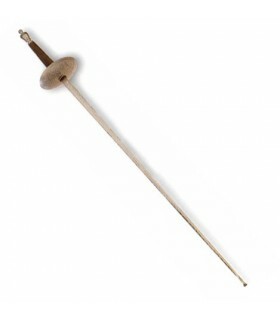 P>Cadete.-80 cms.Natural.-102 cms. French rustic Foil, Tempered steel, polished, flat sheet of old fencing. The foil is a long, flexible blade. Available in various sizes. Cadete.- 80 cms.Natural.- 102 cms. 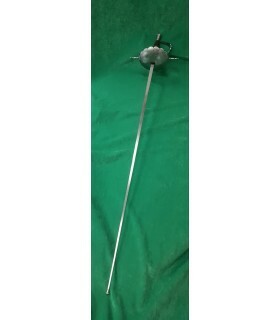 Foil shell, Tempered steel, polished, flat sheet of old fencing. 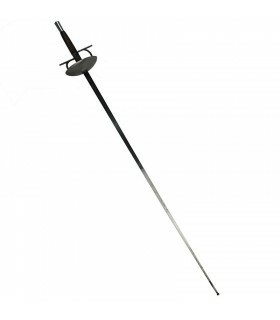 The foil is a long, flexible blade. Available in various sizes. P>Cadete.- 80 cms.Natura.- 102 cms. Foil Castañeta with aged finish, rustic Hardened steel, flat sheet of old fencing. 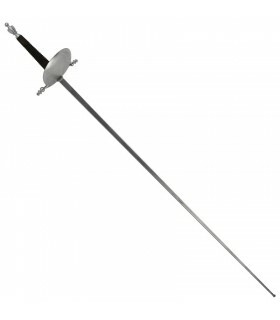 The foil is a long, flexible blade. Spanish Foil, Tempered steel, polished, flat sheet of old fencing. 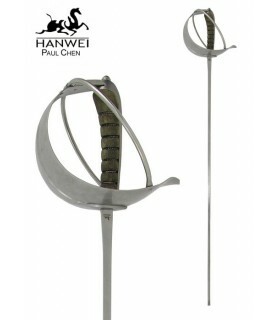 Typical light gun battle was perfect to maximize the technique of fencing, to the detriment of heavy swords in which force prevails over technique. 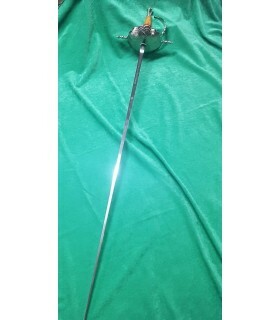 The foil is a long, flexible blade. Available in various sizes. Cadete.- 80 cms.Natural.- 102 cms. Foil Colonial with a rustic finish. 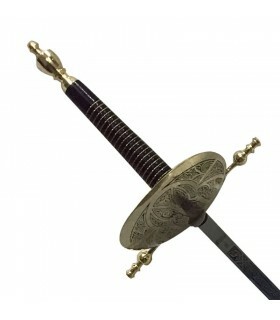 The blade is stainless steel and has a distressed finish. The handle is made of wood. It is a foil made in Toledo, Spain, with materials of first quality. Foil Colonial with a finished nickel-plated. 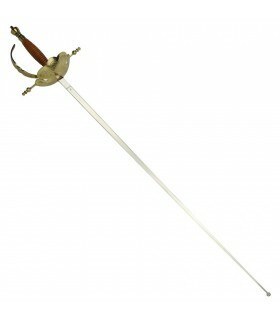 The blade is stainless steel and the handle of wood. 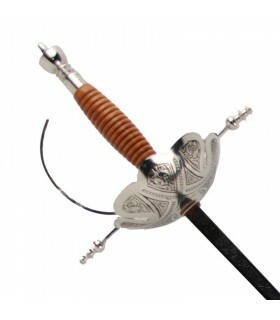 It is a foil made in Toledo, Spain, with materials of first quality. A foil a is long, flexible and rectangular in cross section sword. 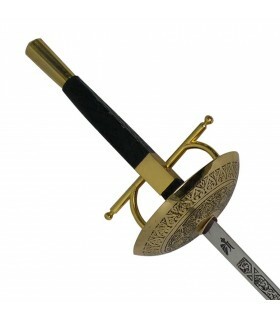 The medieval foil appears in XVIIth century, as a harmless and flexible blade weapon which ended in a shaped flower button. 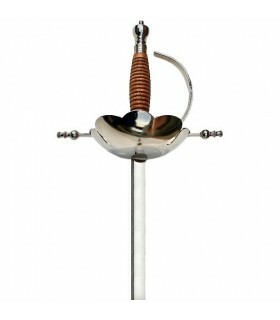 The fencing is one of the three weapons used in this sport. Most of us has known the foil thanks to the Three Musketeers movie which is based in the novel with the same name and tells the story about a young Gascon calle D'Artagna who travels to Paris to become a Musketeer. 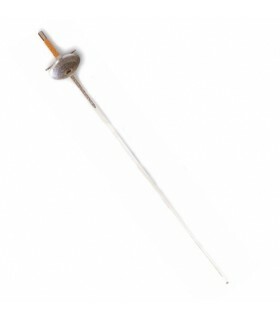 Nowadays, foil an sportive weapon used above all in fencing for hitting the target area. If you need decorative foils, you must take account that we have the best ones which are made in Toledo-Spain. Besides, if you see them in stock, we ship them immediately.